Shaker White kitchen cabinets and bathroom vanities feature full overlay, flat-panel doors and a bright, clean finish. Cabinets are quality-built with solid wood face frames, MDF doors, dovetail drawer boxes, and full extension soft-close drawer glides. 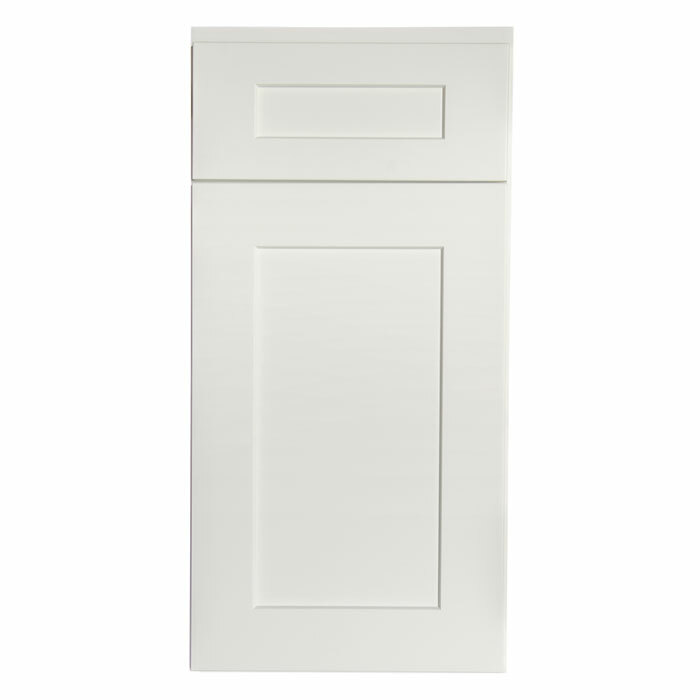 The cabinet interiors have a natural finish and doors have 6 way concealed adjustable hinges.